What Are Cookies on a Computer? Cookies are very small text files placed on your computer by a web server when you view some sites online (not all websites place cookies). They're used to store data about you and your preferences so that a web server doesn't have to repeatedly request this information, potentially slowing download time. Cookies are commonly used to store personal registration data like your name, your address, the contents of a shopping cart, your preferred layout for a web page, what map you might be looking at, and so on. Cookies make it easy for web servers to personalize information to fit your specific needs and preferences when you're visiting a web site. Why Are They Called Cookies? There are different explanations for where cookies got their name. Some people believe that cookies got their name from "magic cookies" which are part of UNIX, an operating system. Many people believe that the name originates from the story of Hansel and Gretel, who were able to mark their trail through a dark forest by dropping cookie crumbs behind them. The easiest answer is that cookies, in and of themselves, are completely harmless. However, some websites and search engines use them to track users as they browse the web, collecting highly personal information and often surreptitiously transferring that information to other websites without permission or warning. This is why we often hear about web cookies in the news. Can Cookies Be Used to Spy on Me? Cookies are simple text files that cannot execute programs or carry out tasks. Nor can they be used to view data on your hard disk, or capture other information from your computer. Furthermore, cookies can only be accessed by the server that initiated them. This makes it impossible for one web server to snoop around in cookies set by other servers, grabbing sensitive bits of your personal information. What Makes Internet Cookies Controversial? 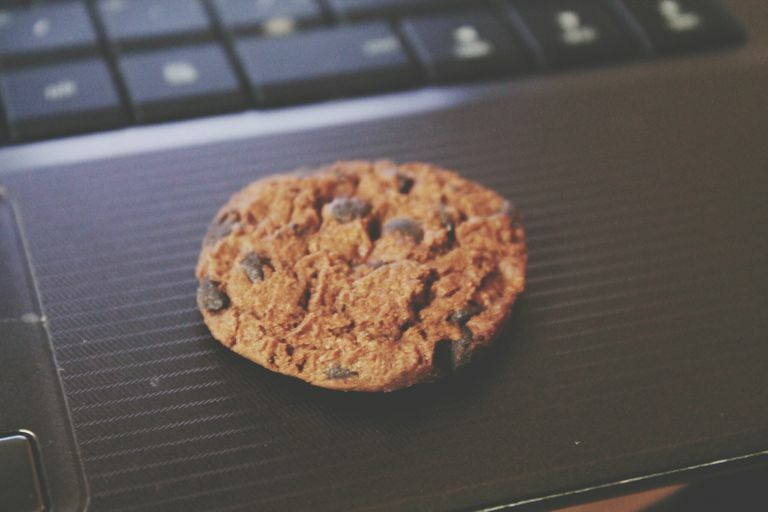 Although cookies can only be retrieved by the server that set them, many online advertisement companies attach cookies containing a unique user ID to banner ads. Many of the major ad companies online serve ads to thousands of different websites, so they can retrieve their cookies from all of these sites, too. Though the site that carries the ad can't track your progress through the web, the company that serves the ads can. This may sound ominous, but tracking your progress online isn't necessarily such a bad thing. When tracking is used within a site, the data can help site owners tweak their designs, enhancing popular areas and eliminating or redesigning "dead ends" for a more efficient user experience. Tracking data can also be used to give users and site owners more targeted information or to make recommendations on purchases, content, or services to users, a feature many users appreciate. For example, one of Amazon.com's most popular retail features is the targeted recommendations it makes for new merchandise based on your past viewing and purchase history. Should I Disable Cookies on My Computer? This is a question that has different answers depending on how you want to use the web. If you go to websites that personalize your experience extensively, you won't be able to see much of that if you disable cookies (or for the first time you visit after you delete your cookies). Many sites use these simple text files to make your web browsing session as personalized and efficient as possible simply because it's a much better user experience to not have to keep entering in the same information every time you visit. If you disable cookies in your web browser, you won't get the benefit of the time saved by these cookies, nor will you have a completely personalized experience. The bottom line is this: cookies really do no harm to your computer or your Web browsing experience. It's only when advertisers are not as ethical as they should be with the data stored in your cookies where things get into a bit of a grey area and your online privacy begins to become an issue. Still, your personal and financial information is completely safe, and cookies are not a security risk. Cookies, small text files containing very small amounts of data, were originally designed to make life easier for Web searchers. Popular sites such as Amazon, Google, and Facebook use them to deliver highly customized, personal web pages that deliver targeted content to users. Unfortunately, some websites and internet advertisers have found other uses for cookies. They can and do gather sensitive personal information that might be used to profile users with advertisements that seem almost intrusive with how targeted they are. Cookies do offer quite a few very useful benefits that make Web browsing very convenient. On the other hand, you might be concerned that your privacy has the potential to be violated. However, this isn't something that web users should necessarily be concerned about. Cookies are absolutely harmless. How Big Can a Website Cookie Be to Make Sure Browsers Support It? What Is a Server in Computer Neworking?